The Women’s International League for Peace and Freedom is celebrating its centenary this year. To mark the occasion the Brighton Branch of the group are having an exhibition of its work during the last 100 years. The league was established in 1915, when 1,200 women from a diversity of cultures and languages got together in The Hague during the First World War, to study, make known and try to eliminate the causes of war. The exhibition, which was visited by the Mayor and Mayoress of Brighton and Hove, Councillor and Mrs Brian Fitch, is staged in the foyer of the Jubilee Library from Monday 2nd March to Sunday 8th March during library opening hours. 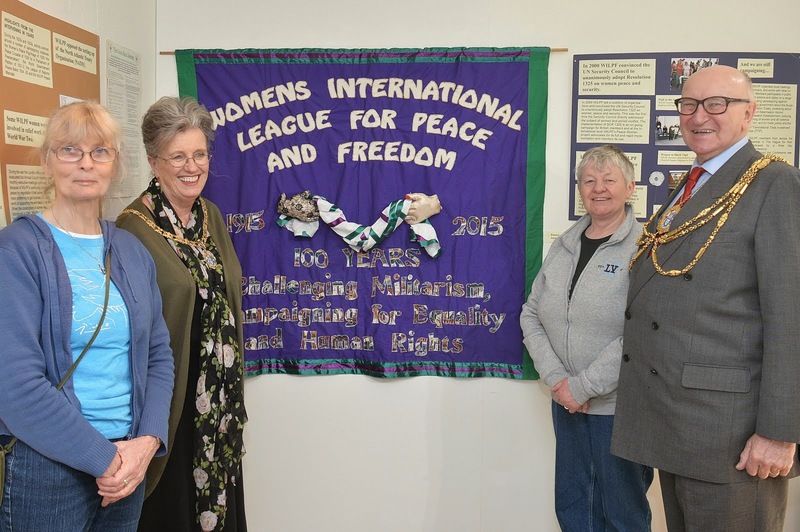 If you visit you will be able to find out about this remarkable women’s peace group which was founded in 1915 and is still going strong.